Free story! Just this weekend, though. Hi everyone. 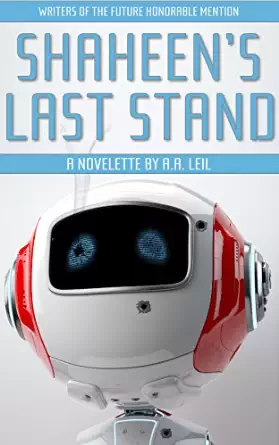 Here’s your holiday weekend gift, a fine sci-fi novellette from A. A. Leil, the author of Fergus Underbridge, Troll Detective (arguably the most popular story in our charity antrollogy, For Whom the Bell Trolls). I hope you will buy the book today, if you can; since all profits will be donated by the publisher to Equality Now, the higher we can get the book in the Amazon rankings the more visibility — and therefore the greater income for the charity! Here’s my pitch for this unique book of funny, thrilling, mysterious, moving and sometimes naughty stories. (We mean it; this book is for adults who never quite grew up, not for kids who hope to do so!) 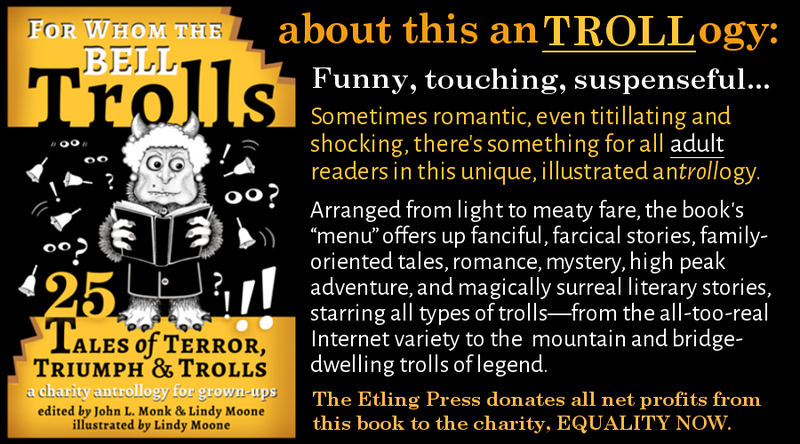 In addition to stories donated by 22 authors from all over the world, you will find my first published illustrations… and even feisty troll haiku and an Easter egg hunt! So please share. And have a wonderful April Fool’s Day. See it on Amazon.com or Amazon UK ! These Trolls are Killing Me but at Least They are Publishing Stuff! I know, I know: I haven’t written an original post since August. Just reblogging my brains out… and working on the antrollogy, which I’m illustrating myself because I suffer from delusions that it will all work out someday. 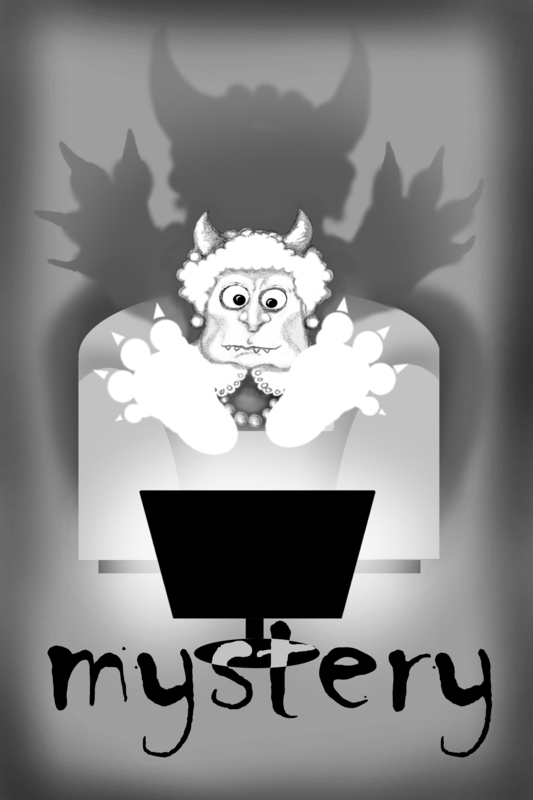 So I redrew the cover, because it needed to match the interior illustrations. As usual, it’s not finished, but whaddya think? Of course, I realized that the illustrations were all the WRONG SIZE for the paperback, so I’m redrawing them, cuz THAT doesn’t take much time. 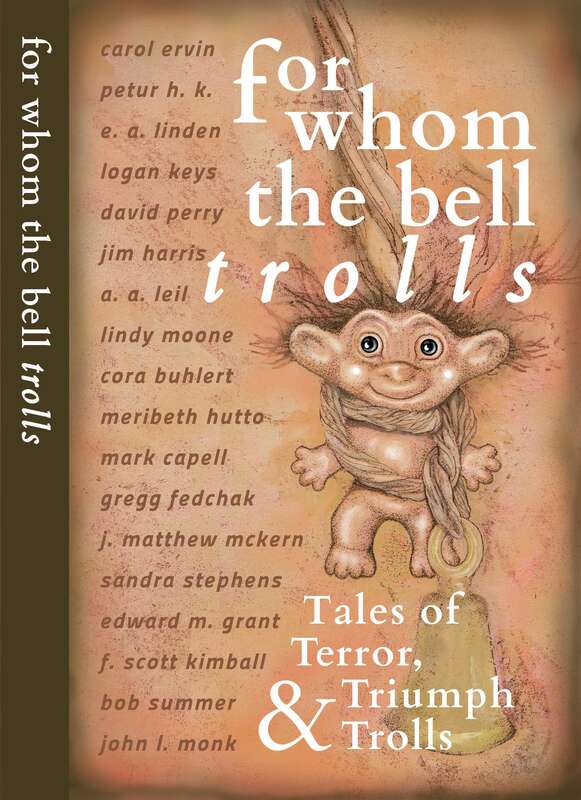 Meanwhile, lots of the “trolls” have published new books since we started this project together, and over the next few weeks I will try to devote some blog time to each of them. I was six. I still have that list, and everything’s checked off but Eeyore. So I write because it’s comforting, and to make things right. *Please do not worry about the bulldogs. They aren’t real. 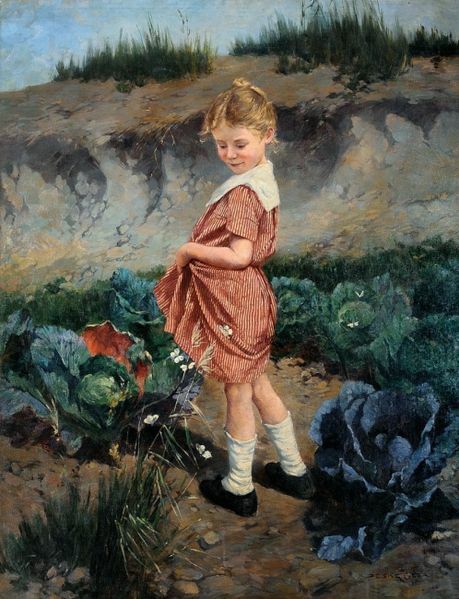 Peske’s “Little Girl in Red Dress” courtesy Wikimedia Commons. Other illustrations are Ernest Shepard’s drawings for A. A. Milne’s Winnie the Pooh series. I have news! Not only do we have a publisher for the charity anthology, we also have picked the charity: Equality Now. 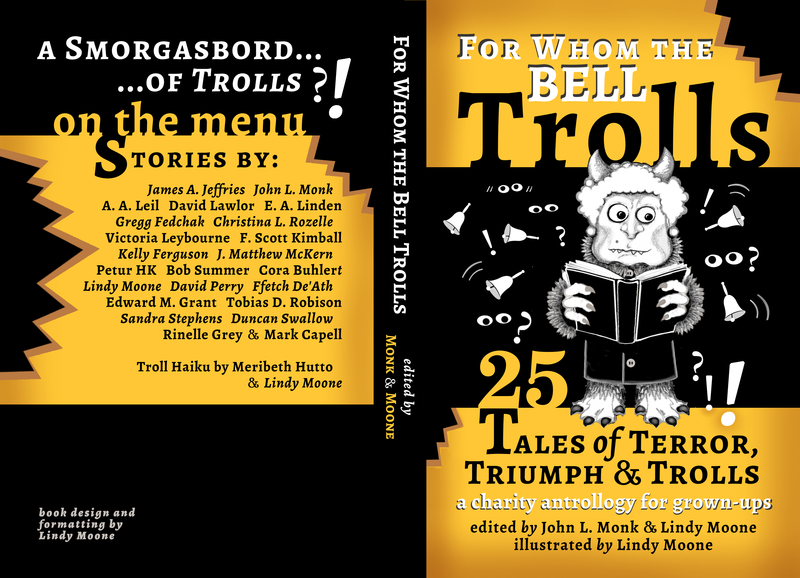 Thank you in advance to all the wonderful writers who are contributing troll stories for the anthology. 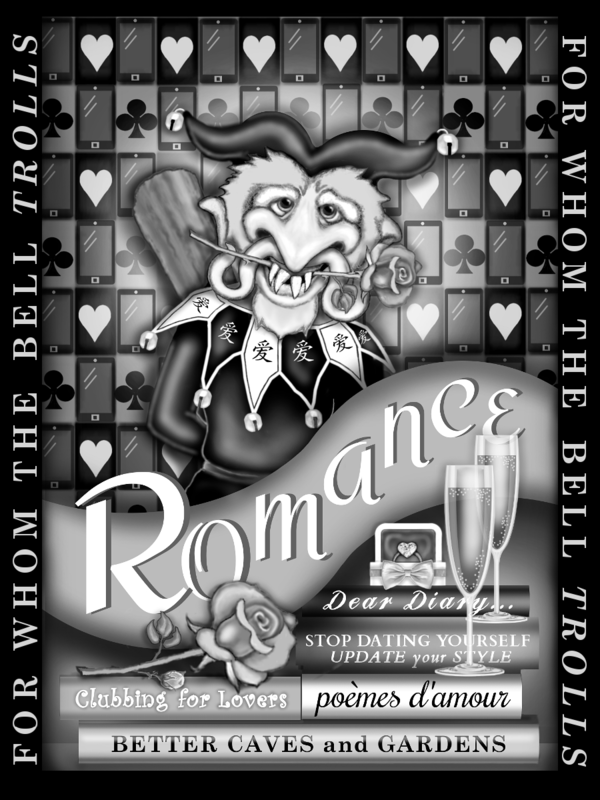 And troll poems. And — who knew? — even troll haiku! Our publisher, The Etling Press, is the brand new publishing division of the award-winning San Francisco design firm, Reflectur. They will handle all the nitpicky financial details, and at materials cost! The Etling Press is so new that they don’t even have a separate website or a logo yet. But Reflectur has many, many years of experience with pro-bono work for charity — and they have their own on-site events venue, The Box SF, in downtown San Francisco.